Sierra Sentinel News- Serving The Sierra Nevada Communities: Have to give credit to "The View"
to promote her lover Trump. 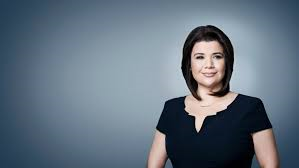 Ana Navarro and Whoopi Goldberg were there to make sure she did not get away with the lies she tells every day on FOX. Our heroes: Ana Navarro, staunch Republican and Whoopi Goldberg, super liberal Democrat. Thank you so much for standing up to that lying tyrant!